Faculty members, of course, can see individual and group student feedback through their faculty portals. However, FLAGS feedback is also important for academic advisors, the student support services staff and resource center staff. These groups can view feedback from both tools for individual students or groups of students (through AdRx, Advising Records) or for an entire campus or the entire university (through Decision Support tools--see the Tools link to the left). 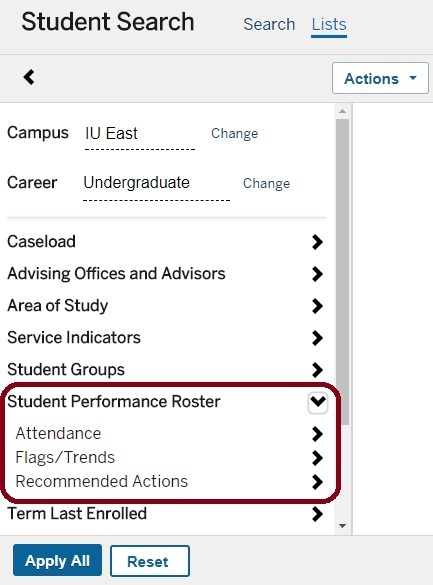 For an individual student, the appearance of an icon at the top right of a student's AdRx record will immediately alert you that the student has feedback; click it for the details. 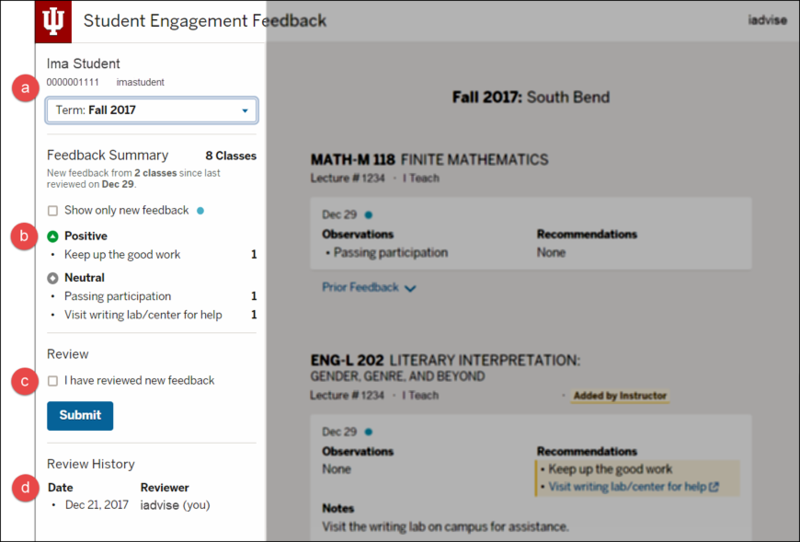 For the Student Engagement Roster (SER), once you click on the "feedback" icon, you're taken to the individual student's feedback page. On this page, a special panel on the left provides a summary of the student's feedback. Advisors and others can also check the box here to indicate they have reviewed the feedback. 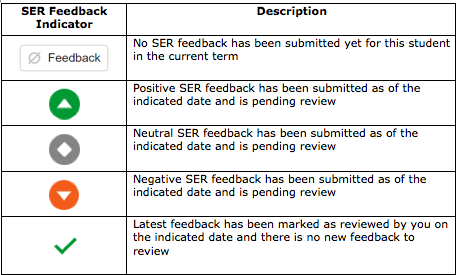 At this point in time, there is no way to identify multiple students with SER feedback in Advising Records (AdRx). Instead, advisors will need to use a special Decision Support environment report developed specifically for this purpose. This report is available in the FLAGS dashboard (see links to left under Tools). 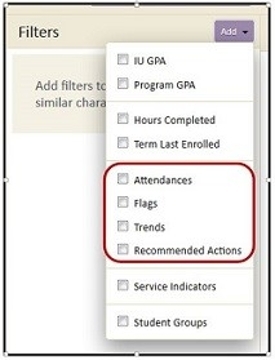 For the Student Performance Roster, there are two ways to identify multiple students with feedback: 1) Within Caseload you can filter for SPR feedback from the drop-down menu in the upper-right of any list you have saved or for your Assigned Advisees; or 2) Use the Student Search - Beta option to select campus, career, and other desired student characteristics in combination with the desired Student Performance Roster filter.